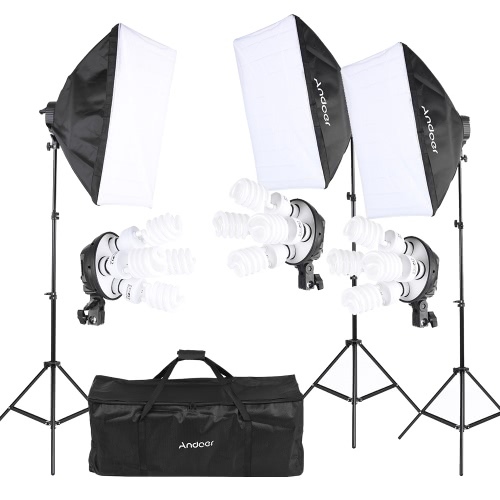 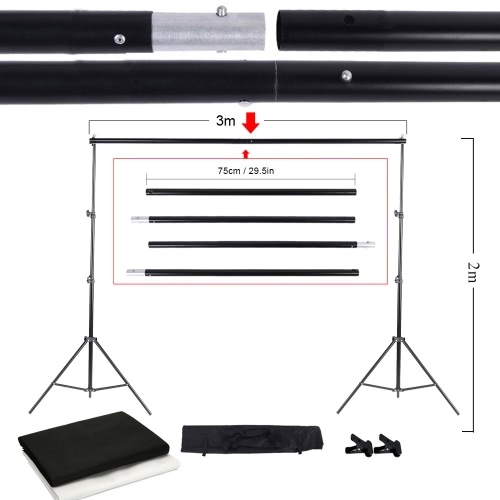 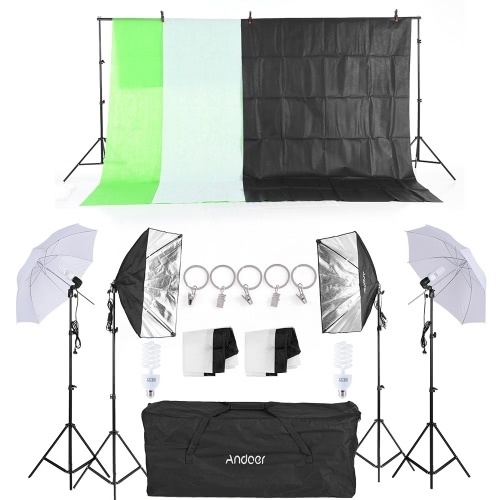 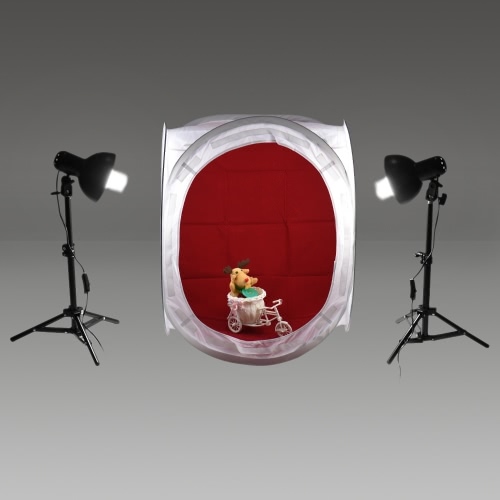 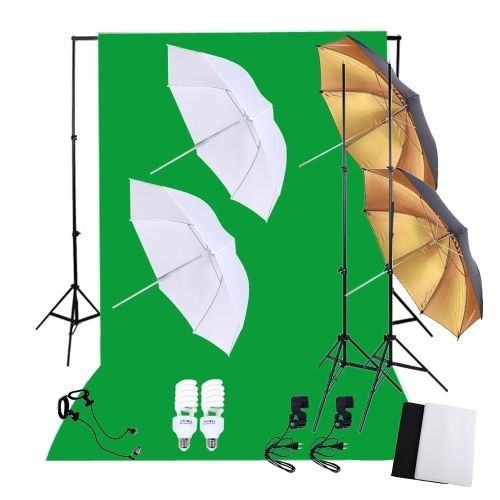 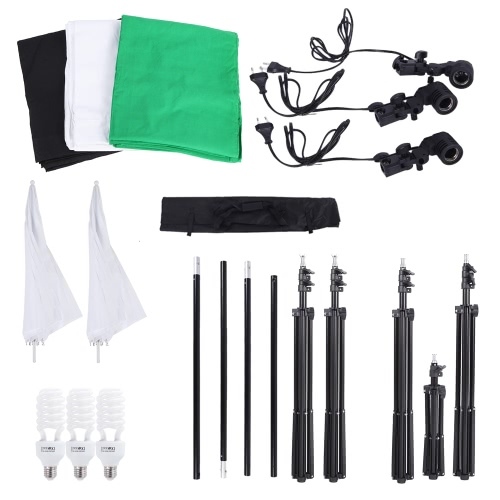 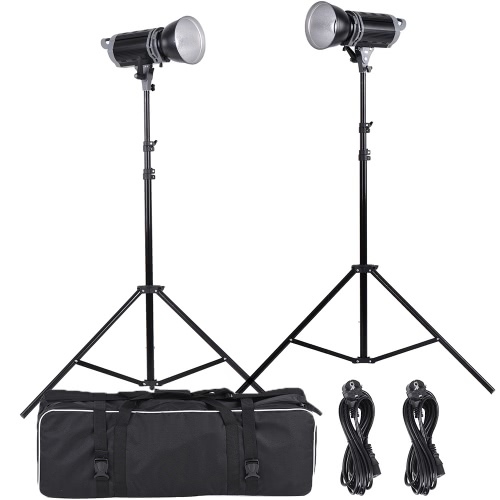 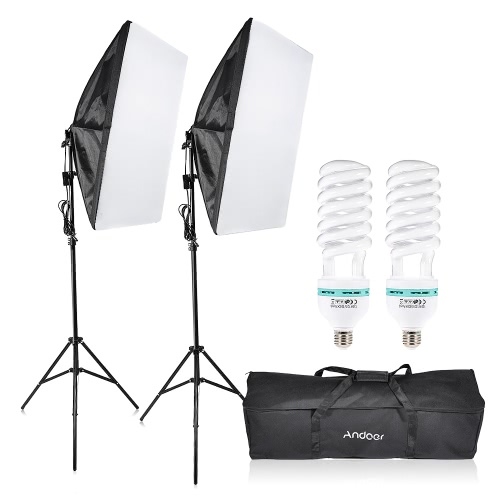 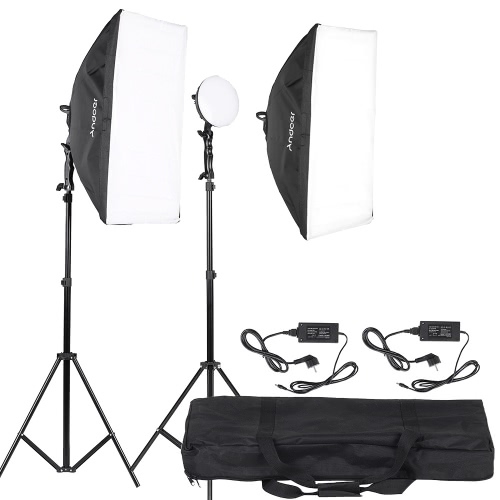 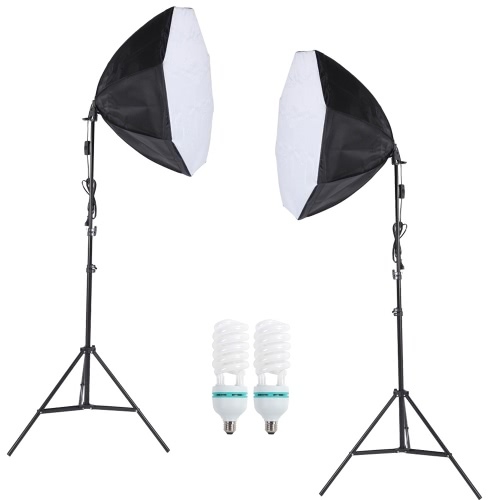 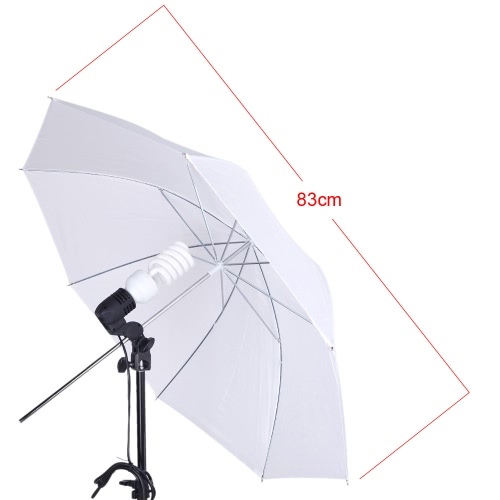 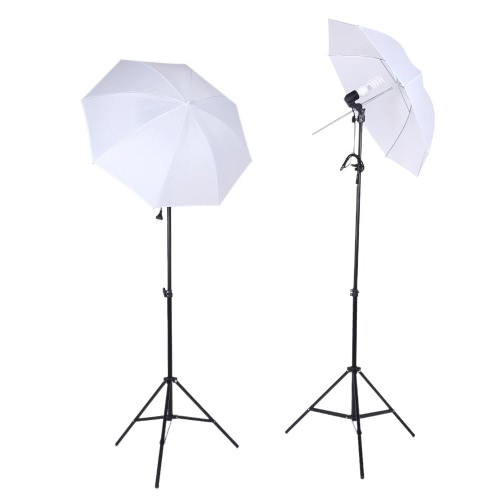 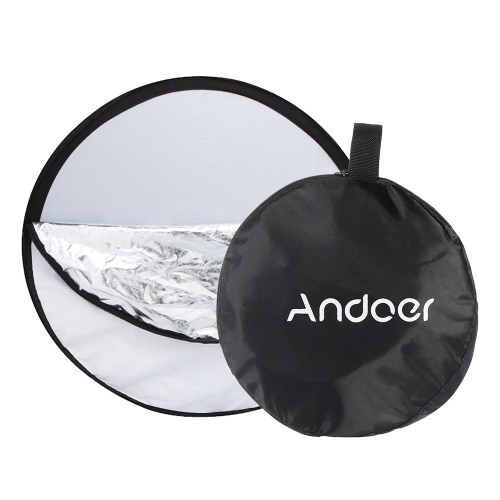 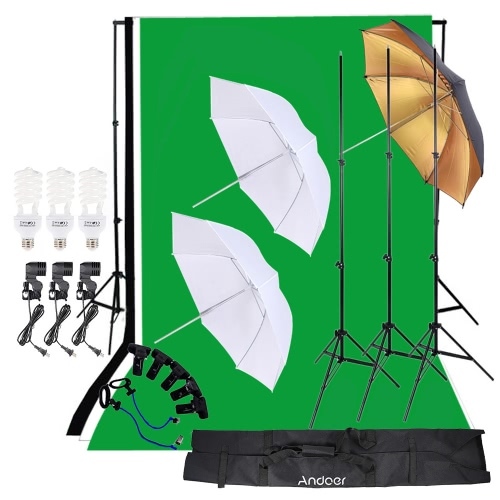 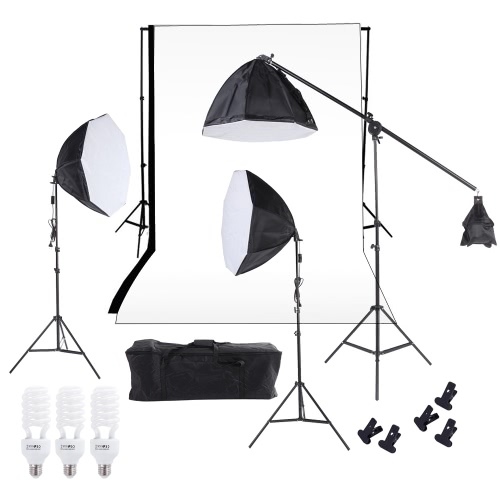 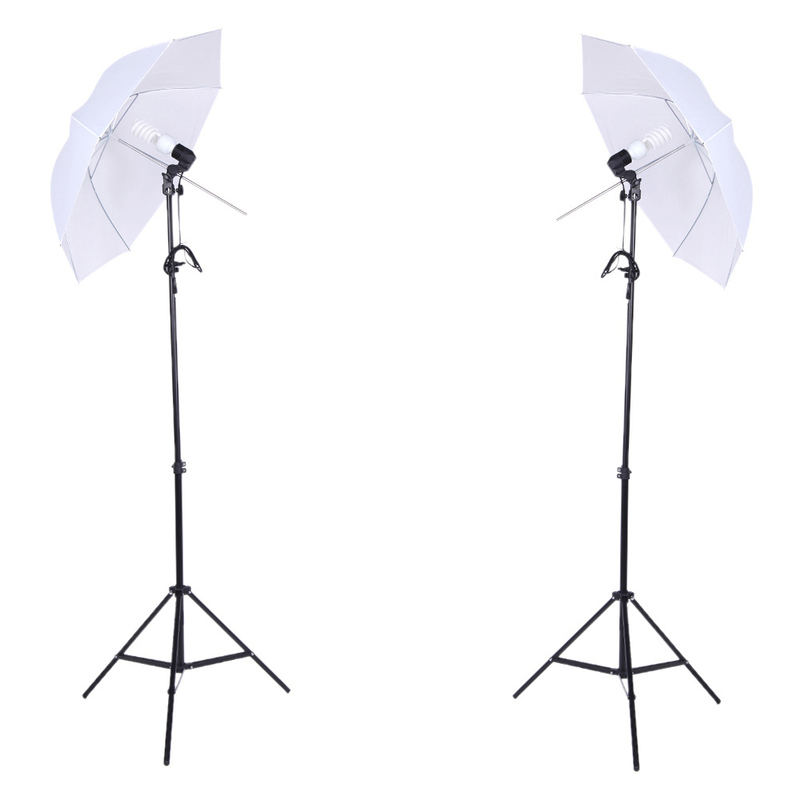 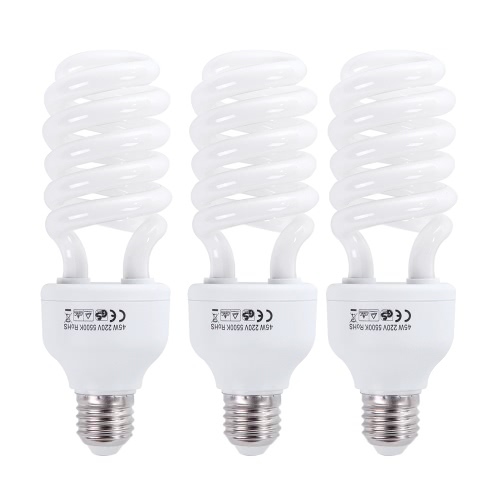 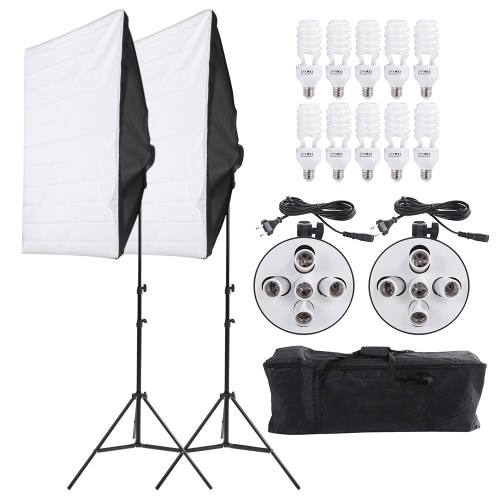 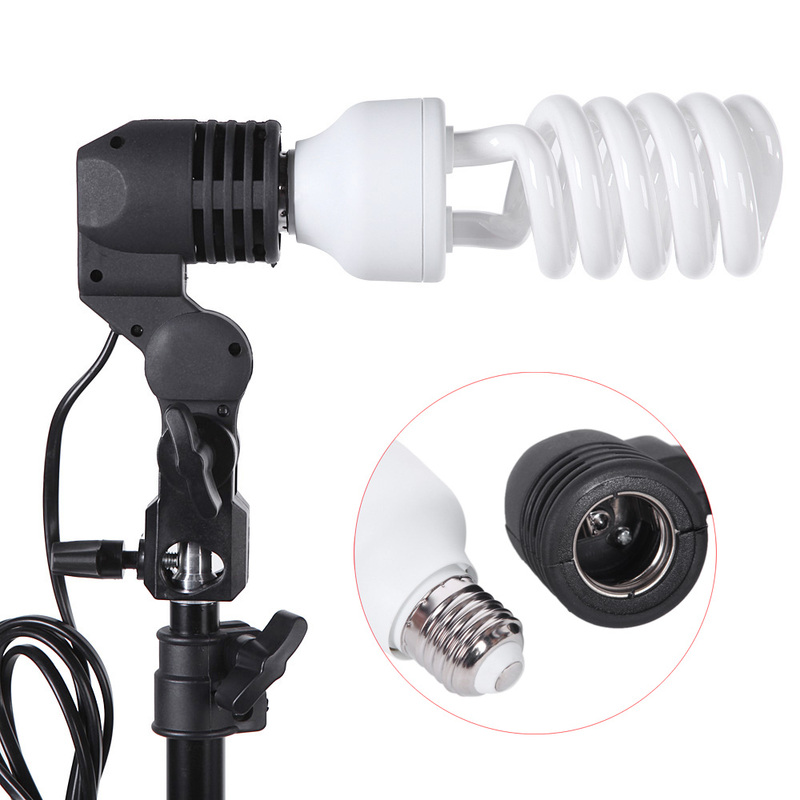 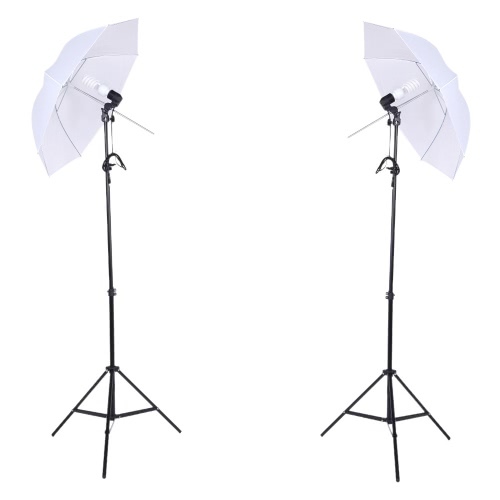 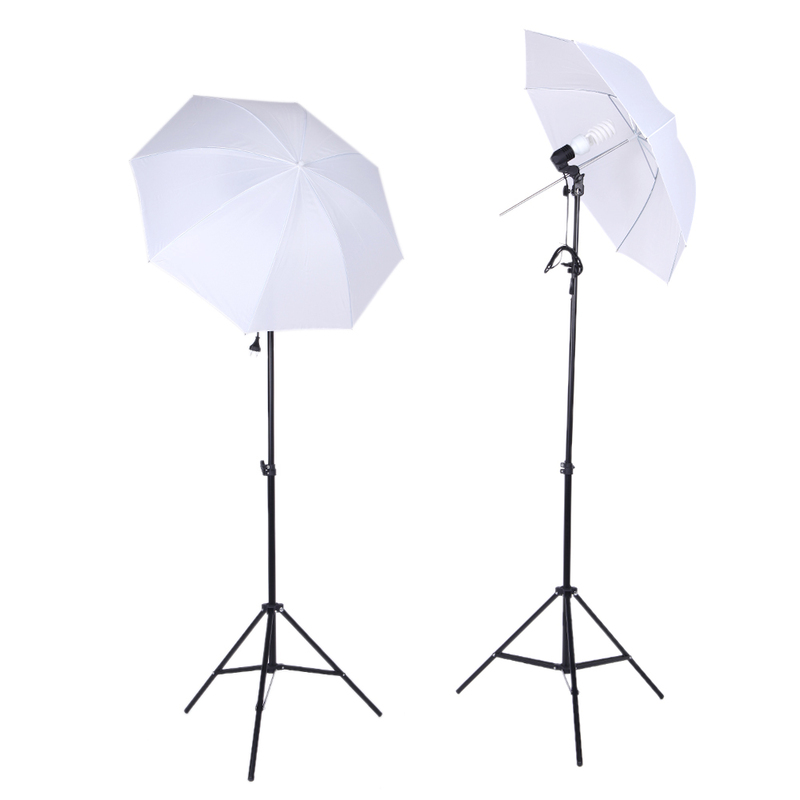 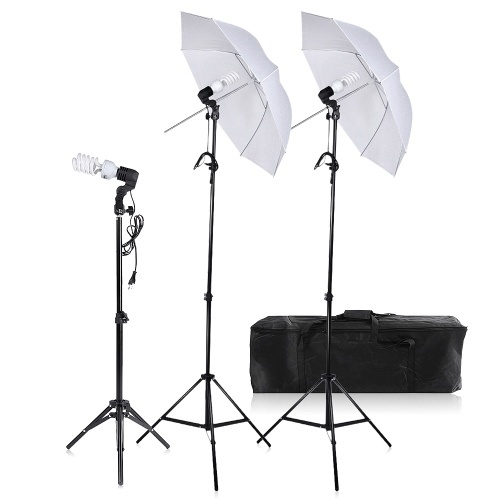 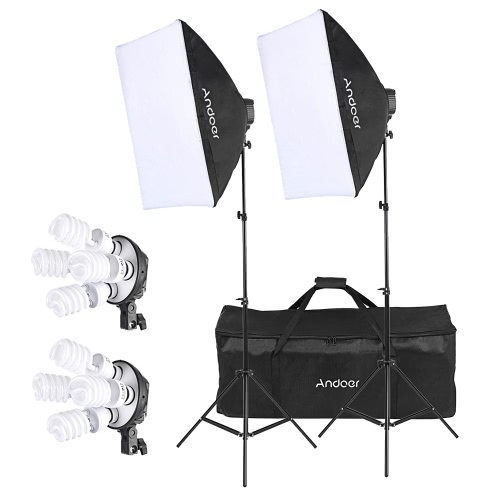 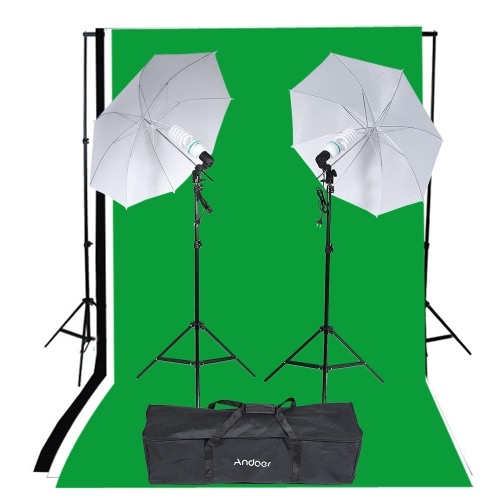 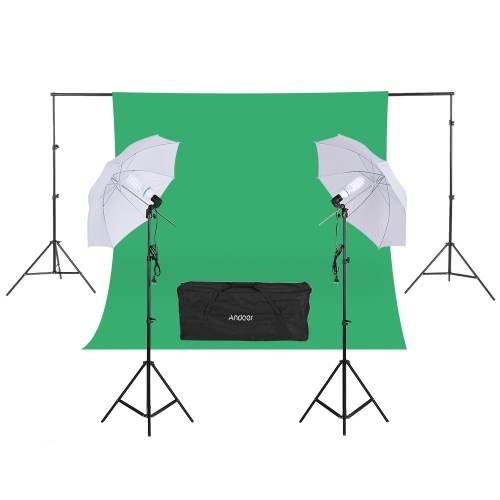 This set includes the backdrop stand set, 3pcs backdrop, light stands, umbrellas, bulbs and E27 swivel socket. 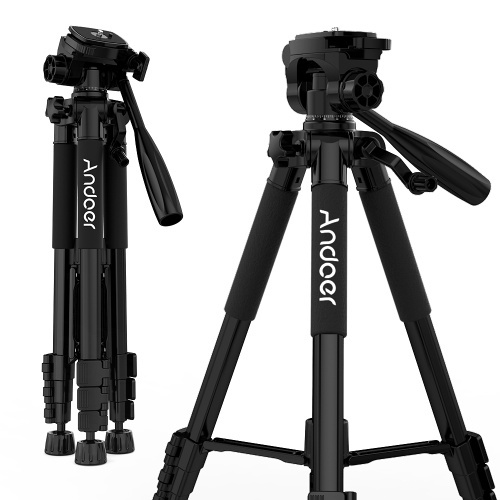 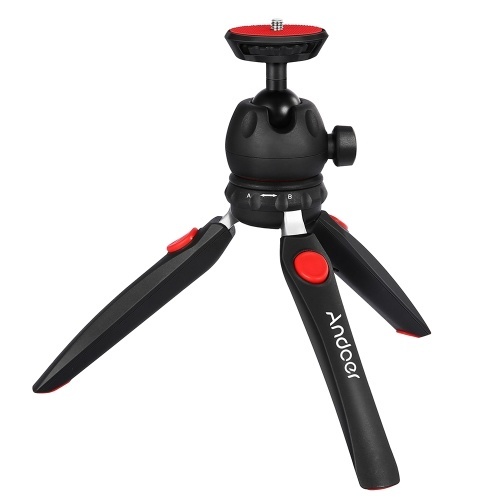 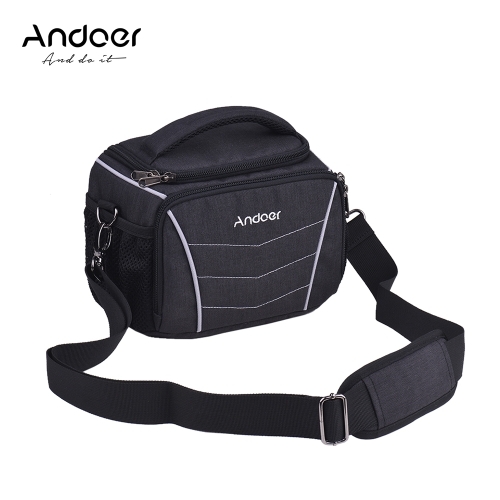 Aluminum Solid Safety 3 Legs. 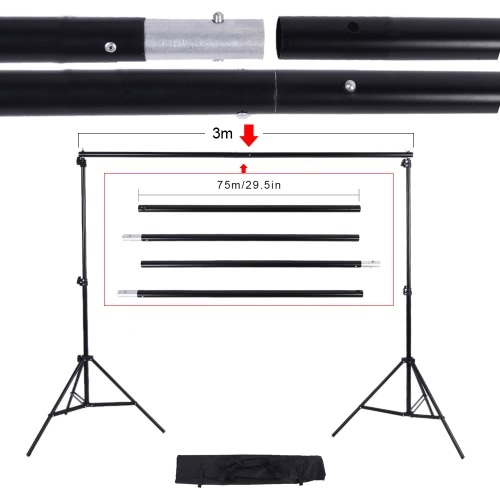 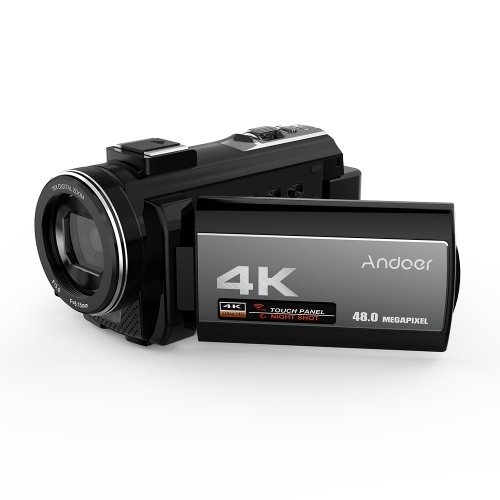 Height is up to 2m / 6.56ft. Width is up to 3m / 9.84ft. 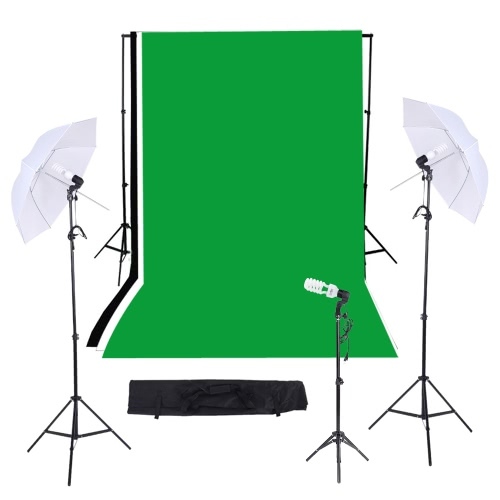 This 3.6 * 3m / 11.8 * 9.8ft white, black, green Backdrops. 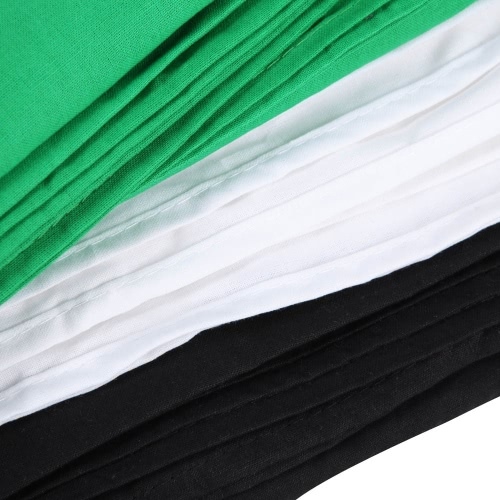 Overlocked along the edges to prevent tears. 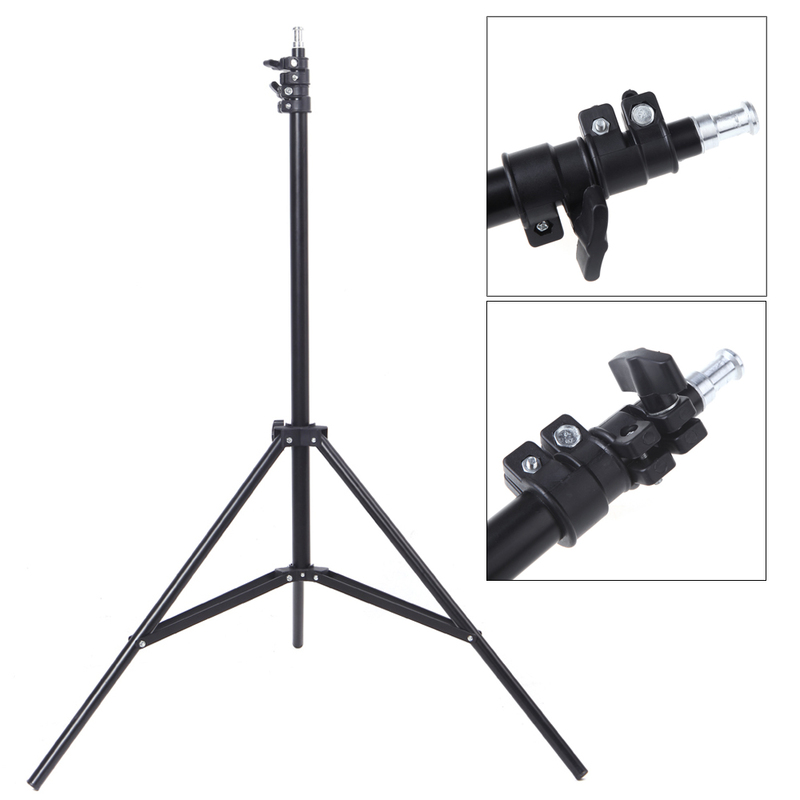 Rod pocket at one end, allows for easy setup. 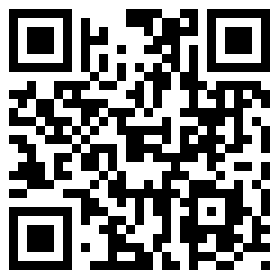 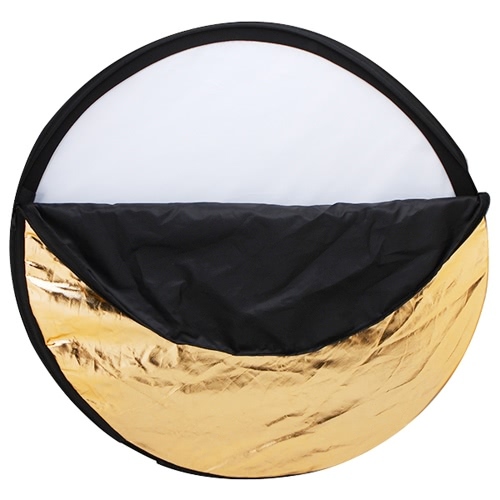 One double layers umbrella: Black externally, golden internally. 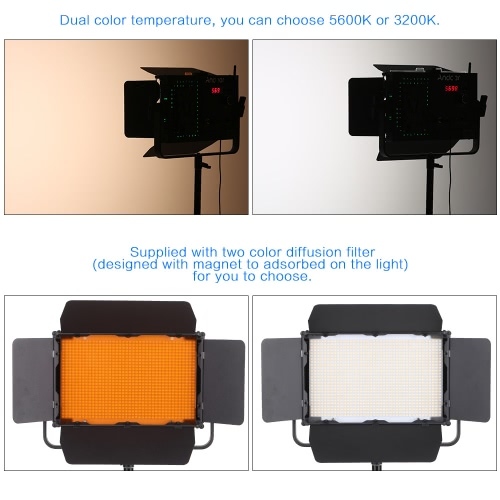 Gold Internal face: Minimize Light Loss & Maximize Light Spread.